NJLS is an 87-year-old award-winning courier and service of process provider for the New Jersey legal community and offers cost-effective pickup and delivery services to a broad range of businesses and government entities. 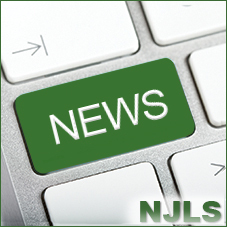 UNION, NEW JERSEY—APRIL 21, 2015 — NJLS (New Jersey Lawyers Service, LLC), an award-winning courier and service of process provider for the New Jersey legal and business communities, announced today it has enhanced its online process service system by capturing the location and time of attempted or completed serves with GPS (global positioning system) coordinates and a photograph of the physical address where the serve occurred. UNION, NEW JERSEY—OCTOBER 27, 2014—NJLS (New Jersey Lawyers Service), an award-winning courier and service of process provider for the New Jersey legal and business communities, announced today it was recognized for the third consecutive year as the No. 1 “Best Courier Service” and for the first time took the No. 3 spot for “Best Process Server” in the 2014 New Jersey Law Journal (NJLJ) Reader Rankings survey. In the “Best Courier Service” category, NJLS was chosen the winner from six other contenders and open write-ins for the state. In the “Best Process Server” category, NJLS was vying with eight competitors and write-ins. UNION, NEW JERSEY—APRIL 11, 2014—NJLS (New Jersey Lawyers Service), an award-winning courier and service of process provider for the New Jersey legal community, announced today it is bolstering its service of process offerings by acquiring Manville-based AM PM Process Servers. Effective immediately, NJLS will assume all of AM PM’s operations. UNION, NEW JERSEY—MARCH 13, 2014—NJLS (New Jersey Lawyers Service), an award-winning courier and service of process provider for the New Jersey legal community, announced today it is bolstering its courier and service of process offerings by acquiring Newark-based Relay Brothers Courier, LLC. Effective immediately, NJLS will assume all of Relay’s operations. UNION, NEW JERSEY—JANUARY 30, 2014—NJLS, an award-winning courier and service of process provider for the New Jersey legal community, is celebrating 85 years of excellence by announcing today it is extending its courier offerings to other industries and growing its service of process specialties. NJLS also continues to receive accolades directly from legal professionals and introduces energy-efficient technologies. EDISON, NEW JERSEY—OCTOBER 16, 2013— InfoStore Records Management, a member of the 2-20 Family of Companies, announces today its partnership program with New Jersey Lawyers Service (NJLS), blending the best in secure document storage and award-winning courier services for law firms in the tri-state area.